The Ferguson group was established in 1926 by the grandfather of our current executive chairman, Alan Ferguson OBE. Over the years of operation we have fought to become the largest privately owned haulier in the North East of England, building a vast portfolio of customers comprising of local, national and international companies from all sectors of industry. Having strived to deliver excellence for so many years we are proud to have celebrated our 90th Anniversary of business in 2016. As a business, we operate from several locations throughout the UK and have strategically positioned ourselves near to major cities, which allows quicker and easier access to customers and major transports routes. Whilst transport remains the core of our business, we also specialise in the areas of Warehousing, Logistics, Removals and Self-Storage. 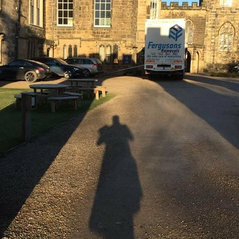 For home movers, Fergusons Removals can provide expert house removals services which will work with you to ensure the moving process occurs smoothly and all of your possessions are carefully transported. All home movers are provided with a House Moving Checklist. Removal quotes, relocation and packing information are available for all your office, home or commercial removals needs. We also offer unique self storage facilities called Storeline, where the container is delivered to you to fill and we collect it for storage. This saves you from the inconvenience of transporting your items for storage to our self storage facilities at FergySpace, where we are happy to provide you with your own clean, dry and secure lockable self access storage room. At FergySpace all your storage items are protected by the latest state-of-the art CCTV and security systems - for total peace of mind. You also have unlimited free and easy access to your private and secure self storage room with your own lock and your own key 24hrs a day, 7 days a week. 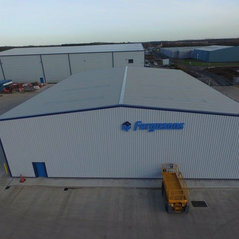 Whilst transport remains the core of our business at the Ferguson's Group, we also specialise in the areas of Warehousing, Logistics, Removals and Self-Storage. 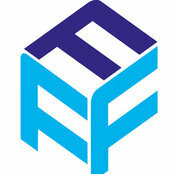 We provide home-movers with expert professional services and offer state-of-the-art storage facilities at FergySpace.